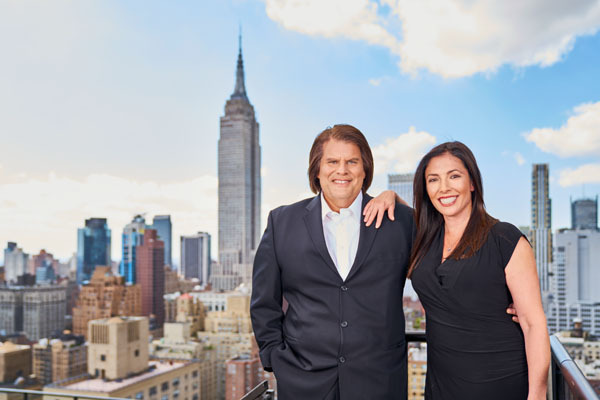 On a beautiful sunny summer morning in Scarsdale, NY, I had the opportunity to sit down with Mitch Suss, CEO and founder of NY Health & Wellness, to discuss his most current vision in his quest to improve the lives of menopausal women. Mitch is a man who truly believes in helping to maximize the health and lives of menopausal women through his company’s proprietary breakthrough metabolic weight loss program, Balance 3H Plus ®, and as an individual who sits on the cutting edge of almost everything he does. Over the past 20 years, Mitch has developed and partnered with some of the pioneers in the integrative wellness business, with past brands that include Bari RX, a bariatrics supplement line; Focus 28; Thinalicious; and Virility LIfe. His current and most successful supplement lines are MD UltraCeuticals and MD UltraDerm, an anti-aging and cosmetic line. Both are sold exclusively at the NYHW centers. 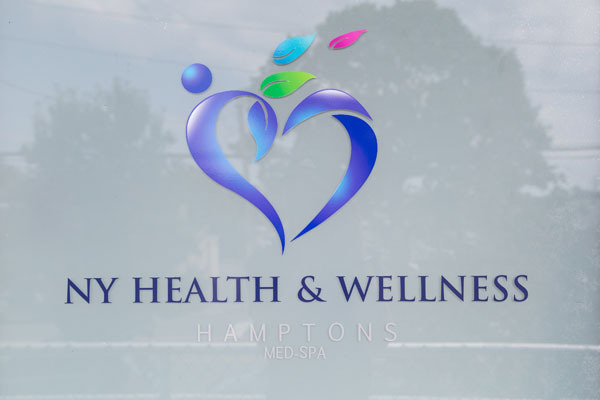 Once again, Mitch’s ingenuity and entrepreneurship are shining bright, with the recent opening of NY Health & Wellness Hamptons. This deluxe new facility is a stunning reminder that there is always something greater we can do to provide better care for women who are suffering the painful discomfort of menopause, and to continue to support this population long-term. Mitch’s vision developed around meeting the documented, evidenced-based needs of women whose lives had changed due the persistent weight gain of menopause. Along this journey, Mitch hobnobbed with the most distinguished leaders of the wellness industry, including Dr. Robert Atkins, Dr. Patrick Fratellone, Dr. Fredrick J. Vagnini, and Dr. Arthur Davidson Jr, and has socialized with celebrities such as best-selling author Dr. Robi Ludwig, CBS star Toni Senecal, renowned celebrity blogger Stacy Gelsinger, award-winning talk show host Debbie Nigro, and Dani Mazzilli, wife of baseball legend Lee Mazzilli. A top priority for Mitch was finding key physicians and industry experts in the field of women’s issues, to help develop protocols, products and solutions so that women can attain a better quality of life throughout all stages of menopause. Mitch, and his company NYHW, continue to set new standards of excellence in support of pre/ during/post menopausal women, through research, innovation, advanced technologies, and continued education. It was an honor and privilege to talk to this leader, who is making a difference and continues to raise the bar in improving the lives of every women experiencing menopause across the U.S.
Mitch, please take a minute to tell us more about your background, how you became interested in the connection between hormones and menopause, and what inspired you to found NY Health & Wellness. M: Flashback to late Fall 2012. My daily practice was to attend lectures by leading weight loss specialists. That experience presented me with an early understanding of the drastic changes that a lot of women go through anatomically during menopause, and in particular, the weight gain women experience during their midlife. R: So how did you take this important issue and your ideas and turn it into a business reality? M: The facts I gleaned from the lectures really made an impression. There is so much misinformation about menopause, much of it coming from less informed practitioners, the press, and drug companies. This group of women needed help. It’s estimated that 6,000 American women enter menopause every day. It occurred to me that the most underserved area of medicine is the realm of menopause management, and I sensed a strong entrepreneurial opportunity. And inevitably, my natural inclination was to develop a system targeting this demographic. This is where the concept of NY Health & Wellness was first born. I continued my research on menopause from the integrative perspective and it became clear that the symptoms and physical changes women experience in relation to perimenopause and menopause are often distressing, and frequently have a negative impact on their quality of life. I ascertained there was a demand in the marketplace for natural supplements that would alleviate symptoms and deliver targeted micronutrients that a woman was no longer getting exclusively from her diet during menopause. That was my admission ticket into the brave new world of health and wellness. It was at that moment I decided to move forward and open an integrative wellness center that focused on women’s health during menopause and specifically address the weight gain associated with menopause. R: It’s interesting to note that while women have been going through menopause forever, there haven’t been any breakthrough remedies or formulations geared towards the needs of this audience. M: I was shocked myself! I had discovered the power of hormones and how they affect every biological process in the body, especially during a women’s menopausal stage of life. So I surrounded myself with top doctors and assembled a team of experts who are leaders in their fields. Together, we studied the biological changes women’s bodies go through during this phase of life, and quickly learned that if certain hormones, specifically cortisol, leptin and ghrelin, often referred to as the hunger hormones, are out of balance, it can become impossible to lose weight. It was extremely important that my research and development team create protocols to address these issues. R: Mitch, science and literature supports your assertions in this area. Has NYHW identified a solution to this very troublesome issue that millions of women are experiencing? M: It would be bold of me to say we have developed a solution per se, but we have developed what I believe is a terrific, highly effective option. Our treatment program delivers a near-perfect solution for women who are having a difficult time coping during this phase of their lives. We developed Balance 3H Plus ®, a proprietary, science-based metabolic weight loss program that focuses on perimenopausal and menopausal weight gain. The foundation of the B3H+® program is an optimum combination of wholesome macronutrients to balance the hunger hormones that are often disrupted during the onset of menopause. We wanted to be able to deliver the most authentic nutrition in a capsule, along with the best proteins, carbohydrates, and fats for our specialized B3H+® Lean Body Shakes, made with non-dairy pea protein, one of the most hypoallergenic protein powders available. There are no hormones or drugs in the B3H+® program, and balancing the hormones that affect weight gain can have a profound impact on metabolism and the body’s improved ability to reduce inflammation, burn fat, and build muscle. B3H+® is a weight loss program that works for perimenopause, menopause, and post menopause. For more information on the Balance 3H Plus® program, go to balance3hplus.com and see for yourselves how it works. R: Mitch, once again your ingenuity and entrepreneurship is in the spotlight with the recent opening of NY Health & Wellness Hamptons. M: NYHW continues to set new standards of excellence in support of menopausal women through research, innovation, advanced technologies, and continued education, allowing us to expand. Our second location, NYHW Hamptons, opened in the summer. Here we are, two locations and two years later, addressing the specific needs and micronutrient deficiencies of menopausal women who are fighting the hormonal discomfort of menopause. R: Mitch, the hundreds of women you’ve helped are a testimonial to B3H+®. How can women who don’t live in the area benefit from your program? 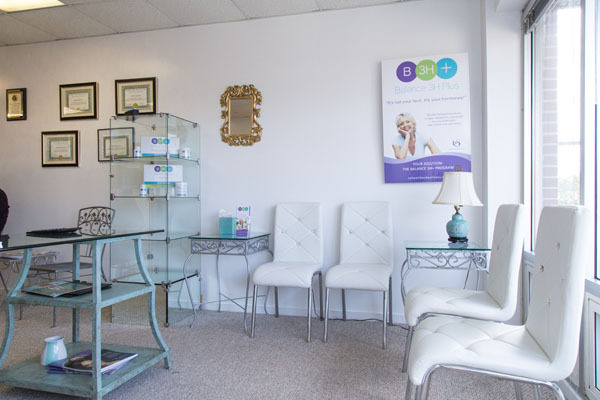 M: NYHW Westchester, and now NYHW Hamptons, are helping countless perimenopausal and menopausal women shed the unwanted fat and weight that has frustrated them for years. Now every woman can benefit. We fine-tuned the B3H+® Metabolic Breakthrough Weight Loss Program for an online audience, which launches this fall. We’re striving to make a difference in the lives of women experiencing the ravages of menopause. B3H+® addresses many issues that women going through menopause commonly encounter. R: Helping others live a healthier, longer life appears to be your inspiration. Tell us about HormoneEducation.com. M: Our clients were requesting on-going evidence-based education to cut through the clutter of misinformation women are receiving about the management of menopause, and the impact on their lifestyle and long term health. We created HormoneEducation.com to be an information resource for women who are trying to cope with the negative aspects of menopause. HormoneEducation.com is solely focused on natural treatment options for hormonal fluctuations that can wreak havoc and disrupt women’s normal lifestyles. In blog format, HormoneEducation.com is a safe place for women, written by the NYHW medical team and health experts in the field of women’s issues. R: As the interview concluded, I walked away with many thoughts running through my mind. My time with this visionary –– albeit brief, was inspiring and made me appreciative of the experts who practice and set new standards at NYHW. Mitch Suss and his team are truly pioneers, as they continue to support women going through menopause in unique and creative ways. I, for one, will go to HormoneEducation.com to read up on the latest technologies and treatments at NYHW, and I hope you do the same. Toni Senecal is the Emmy-award-winning producer and host of Toni On!, a top-rated television travel series broadcast on WLNY Saturdays at 7:30pm and Midnight as well as on WCBS-TV on Sundays at 5:30 am. In 2012 Toni won an Emmy for Outstanding Writer of a program. She also produced a series of one-hour specials with her husband, Tracy Shea. The couple traveled around the world to highlight interesting regions and culture, people, animals, and natural wonders. Her documentary Toni On Costa Rica earned her a New York Emmy as Executive Producer for Educational Programming. Mitch Suss is CEO and founder of NY Health & Wellness, medical weight loss and Balance 3H Plus@ speciality center, with locations in Westchester and Hamptons Bay. You can read more about Mitch and his fascinating career in our exclusive Q &A. A few years ago, Toni was introduced to Mitch and NYHW by a mutual colleague. Adventurous TV reporter meets one of New York’s most exciting and innovative wellness entrepreneurs! You couldn’t ask for a more fortuitous and strategically rewarding connection. According to Mitch, Toni was thrilled with the facility and its programs, and became a regular client. As time went by, their professional relationship evolved into a wonderful and supportive friendship. 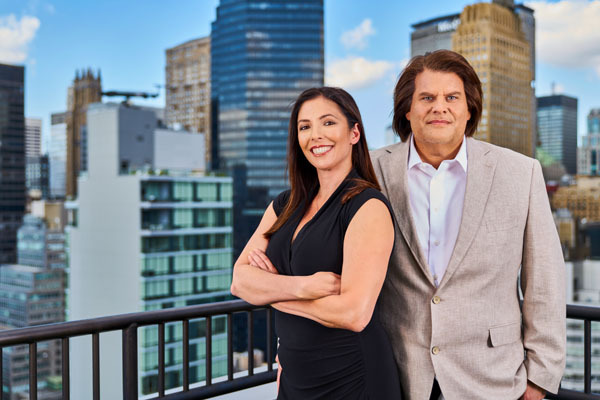 Toni is starring in a series of TV spots featuring NYHW’s revolutionary Balance 3H Plus® Metabolic Weight Loss Program, which began airing in September this year on WLNY and WCBS. Toni and her friends swear by the program, and Toni has personally lost 15 pounds. Toni Senecal and Mitch Suss will be appearing on the Red Carpet at the Resident Magazine October Launch Party on October 18.